Good for children in the evening brunch and healthy. Boil macaroni adding salt and ½ tsp oil and keep a side. Take oil in a pan add onions, ginger garlic paste, carrot, capsicum and ajinomoto cook well. Now add vinegar, ketchup, chilies sauce, soya sauce, black pepper and salt. 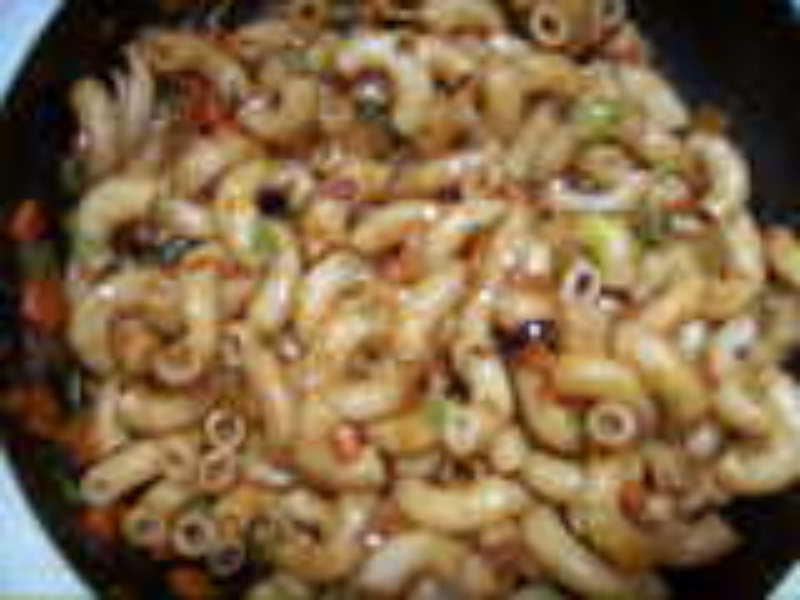 Add boiled macaroni (your hand should be wet before adding macaroni so that it gets separated properly) and stir well. Leave it for 5 minutes adding coriander leaves and serve hot. you can also add some cheese on top of it before serving.